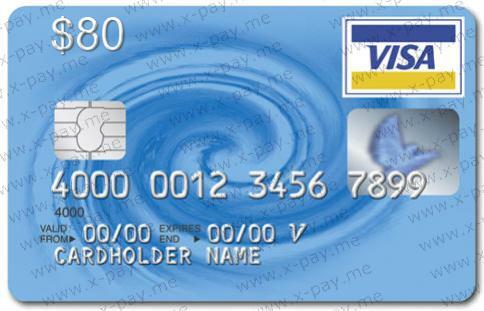 This is a virtual prepaid card, designed exclusively for purchases on the Internet; The card is a complete analogue of the usual plastic Visa, but only in electronic form. When buying, you automatically receive the card details: a unique sixteen-digit card number, CVV2 code and expiry date. The order of making a purchase with this card on the site you need: enter the card details given to you, specify ANY name and ANY Surname, as well as ANY Russian address. All data is entered in English letters. Maps have excellent cross-country ability on a huge number of sites, both Russian and foreign, working with users from Russia. We offer the best prices! Long-term reputation of a reliable seller, an individual approach to each client. 14 $ VISA VIRTUAL (RUS BANK) + Express check. PRICE. 12 $ VISA VIRTUAL (RUS BANK) + Express check. PRICE. 13 $ VISA VIRTUAL (RUS BANK) + Express check. PRICE.